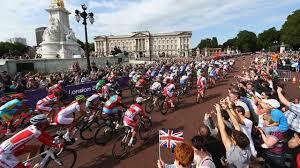 Want a place on the Prudential London-Surrey 100 Ride ~ 2014? Home » Want a place on the Prudential London-Surrey 100 Ride ~ 2014? Woking and Sam Beare Hospices still have a number of Bonded places available for the Prudential London-Surrey 100 Bike Ride 2014. If you or your club members would be interested in taking any of our places (min £500 sponsorship), then please do let us know and we’d be delighted to send you an Application Form. This is your chance to take part in what is perhaps the most popular event of the year. It makes a great target to aim for and, although its cost is high, the cause is a good one. For more information on the event itself, visit their website. The event date is 10 August 2014.